It’s been a while, gentle reader. Exams got the better of my desire to pick up a paintbrush, but they’re over for now. 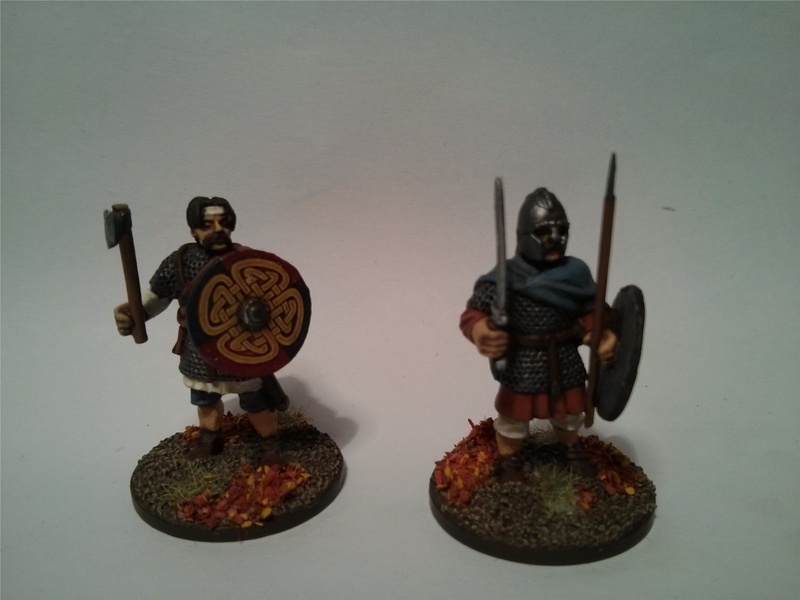 Today I offer the first batch for the big project for the rest of this year: two retinues for the Wars of the Roses. 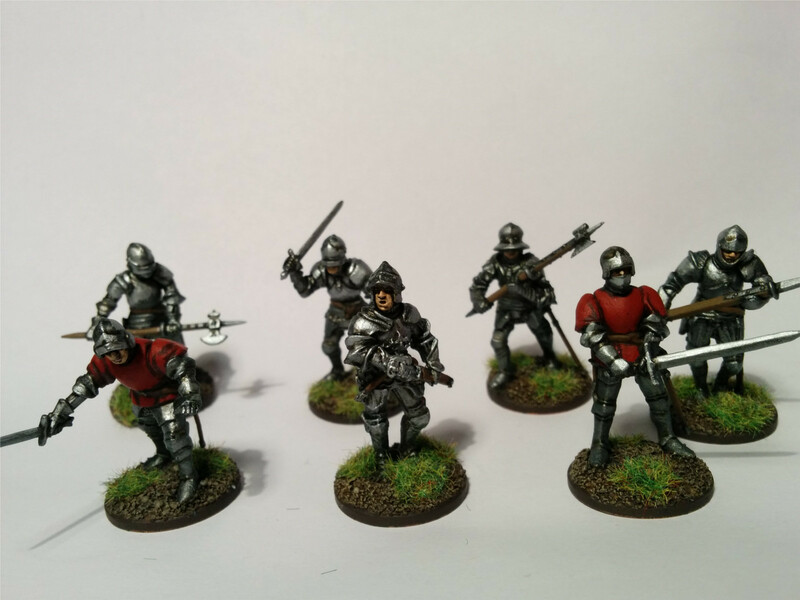 These are from Perry Miniatures – mostly the Foot Knights box set, though Warwick (front and centre) is metal, from their Yorkist command blister. 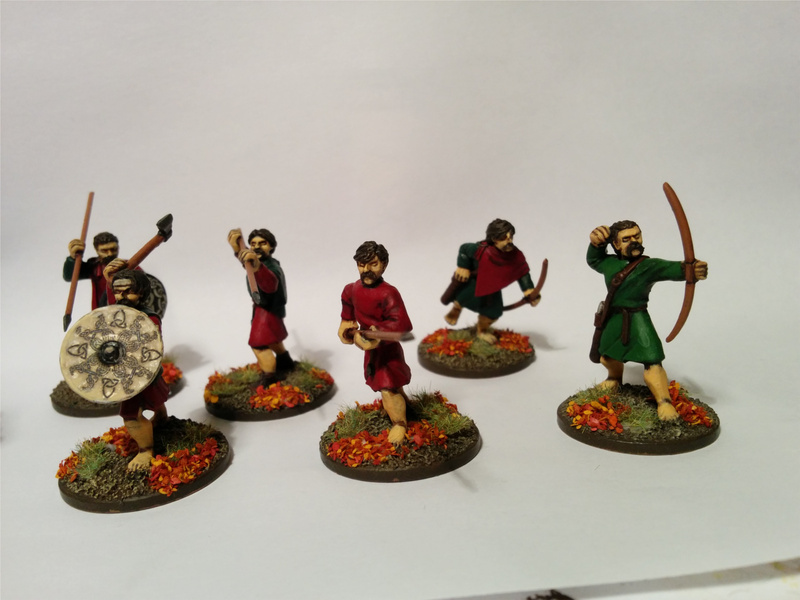 They are gorgeous minis; possibly the finest historical minis I’ve ever painted. 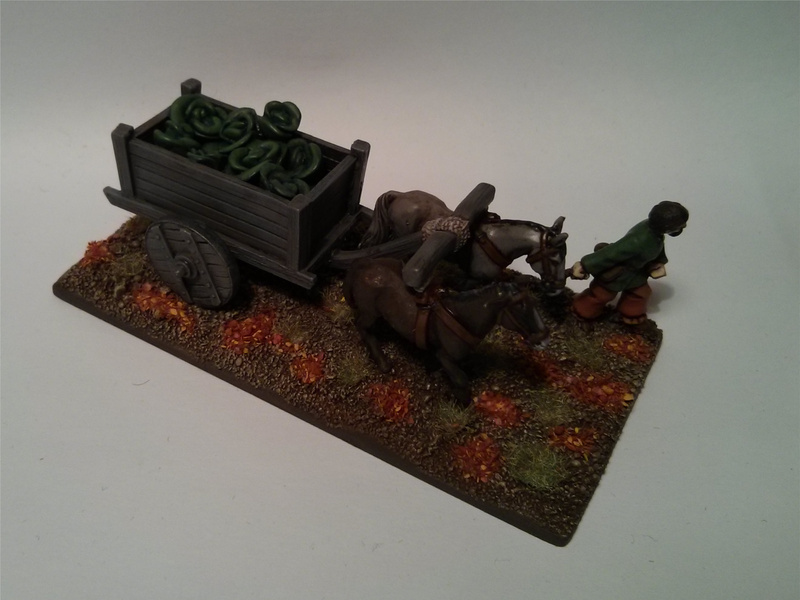 If their Wars of the Roses infantry box is up to this standard, I’m going to have a lot of fun with this project. 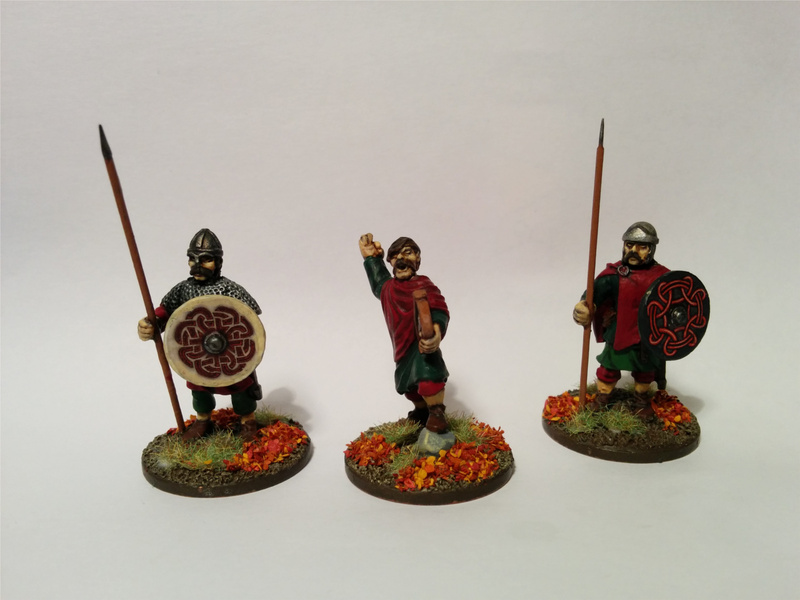 The plan is to start with two retinues for Lion Rampant Osprey’s splendid-looking medieval skirmish rules (so 40-50 minis per side), then maybe build from that, to a larger battle ruleset. At long. 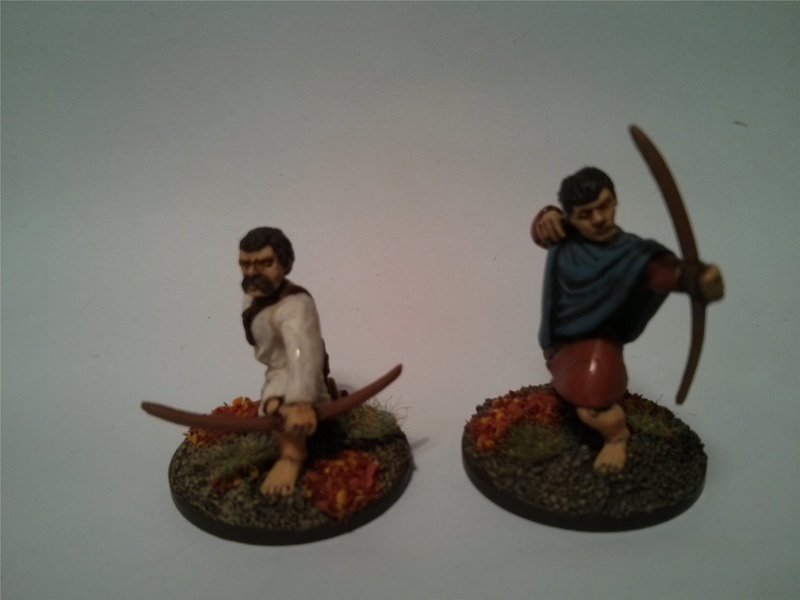 long last I’ve finished the Welsh infantry! 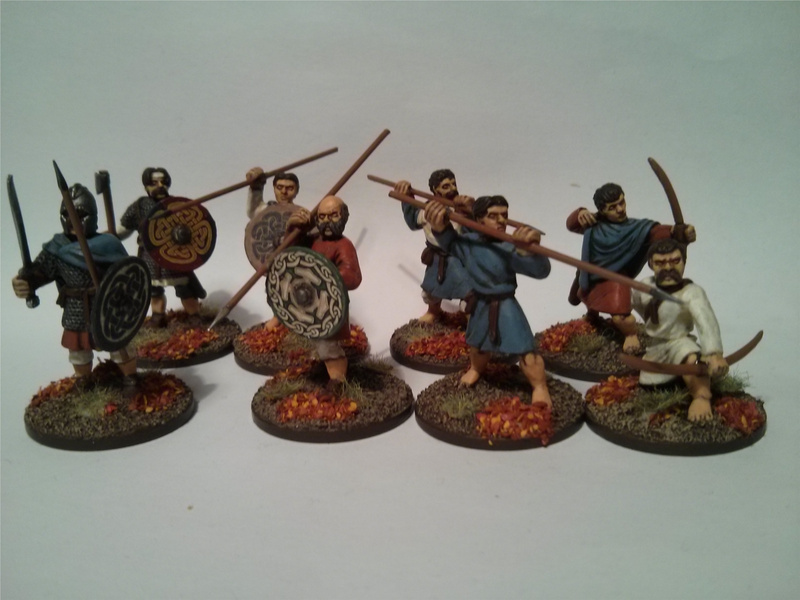 This last batch takes me to 12 hearthguard, 24 warriors, 12 levy. Add in the warlord and bard (from this batch) and that’s a nice, round 50 minis. Here are the latest. I still have work to do on this army. I want a couple of points of mounted hearthguard to give me even more options but this is a good milestone and a good point to take a short break from the dark ages. I’ll post a team photo of my army so far, later this week. 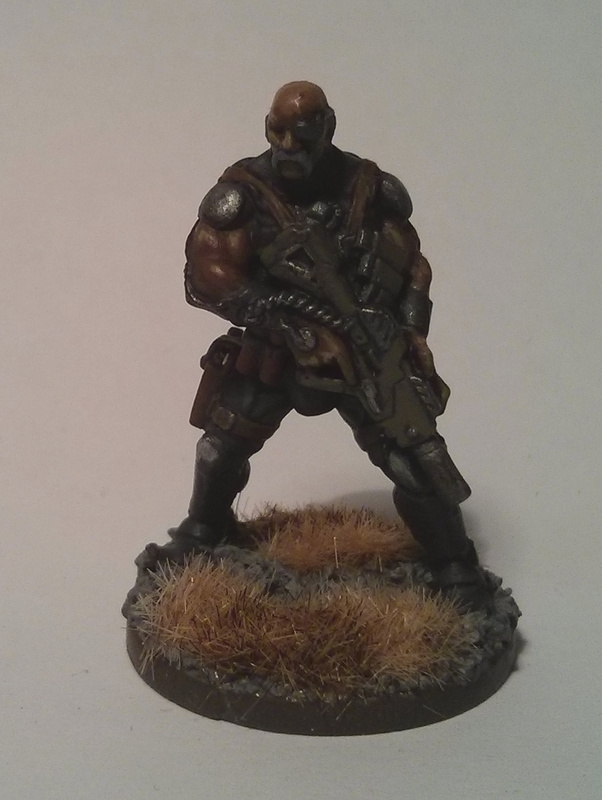 This beefy chap is Hansa, a character model from Beyond the Gates of Antares, the forthcoming sci-fi game from Rick Priestley and Warlord Games. 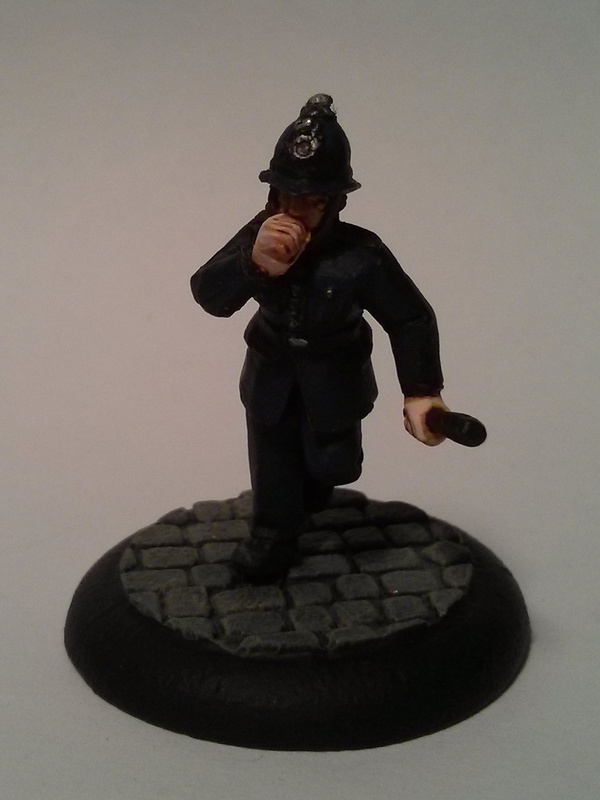 He’s sculpted by Kev White of Hasslefree fame (I’m a shameless Hasslefree fanboy) and I think he’s ace! 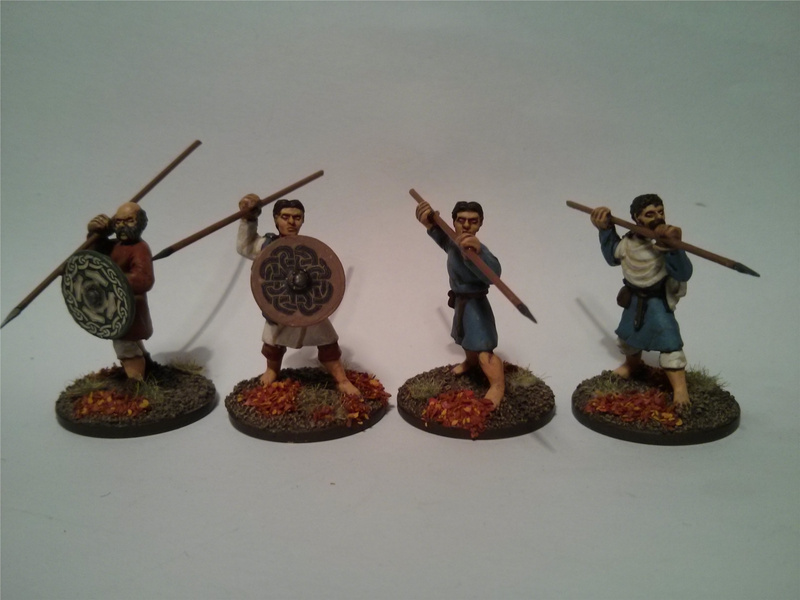 A familiar bunch of more Dark Age Welsh Boyos. The good news it’s the penultimate batch of infantry, so there’s only one more post like this to go. More boyos! 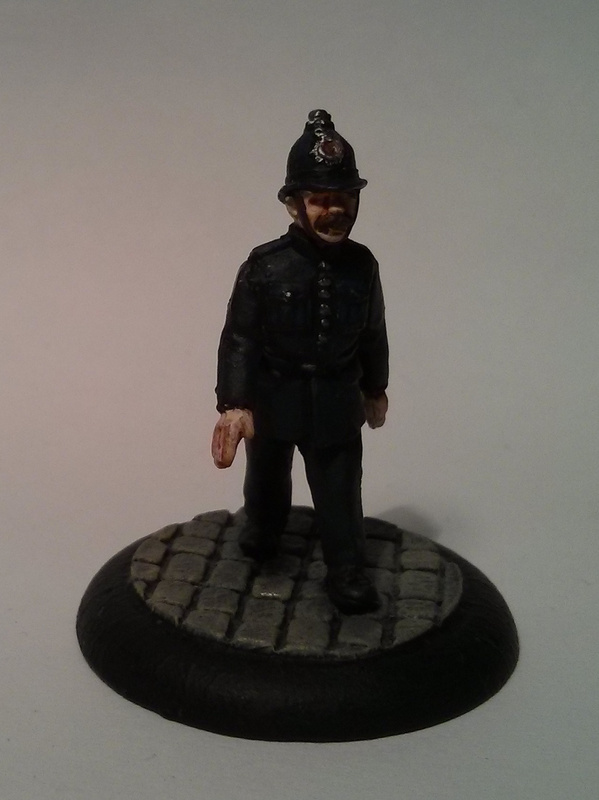 … that’s the sound of the police. Three boys in blue from Aritzan Designs. 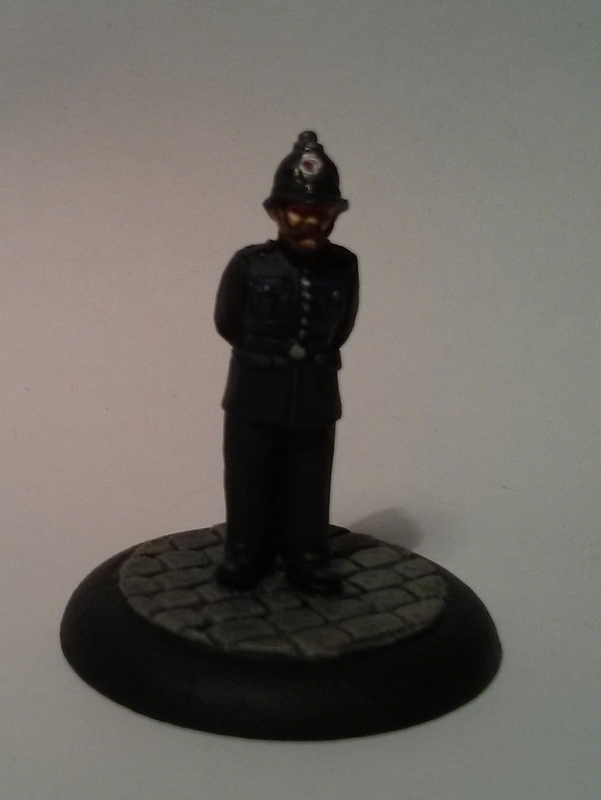 Hopefully the start of a steampunk/VSF collection, if it can fit around the millions of other projects. 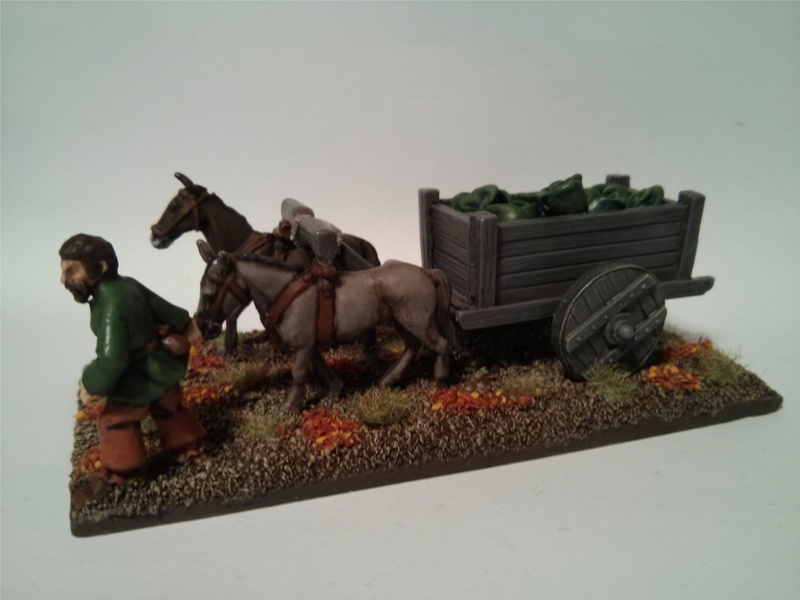 Saga – the Cabbage Wagon! 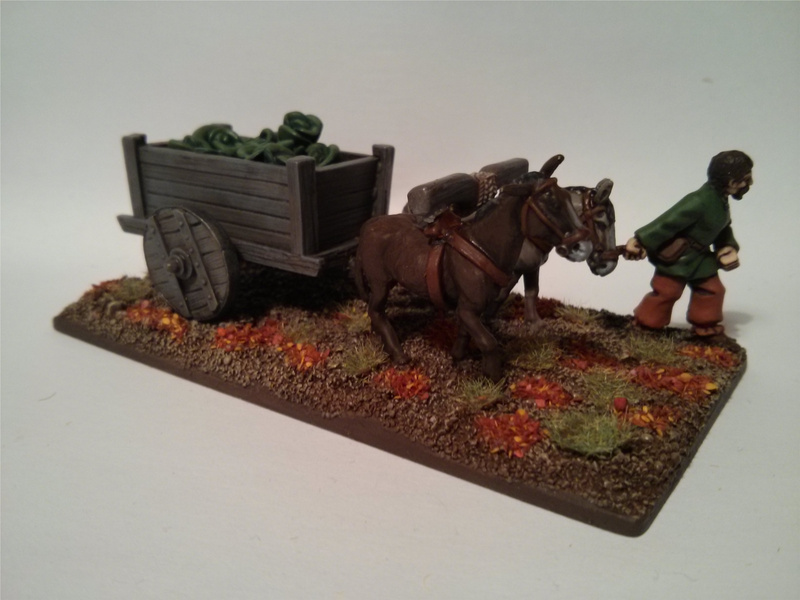 Latest from the painting desk: a cabbage wagon for my growing Saga army. 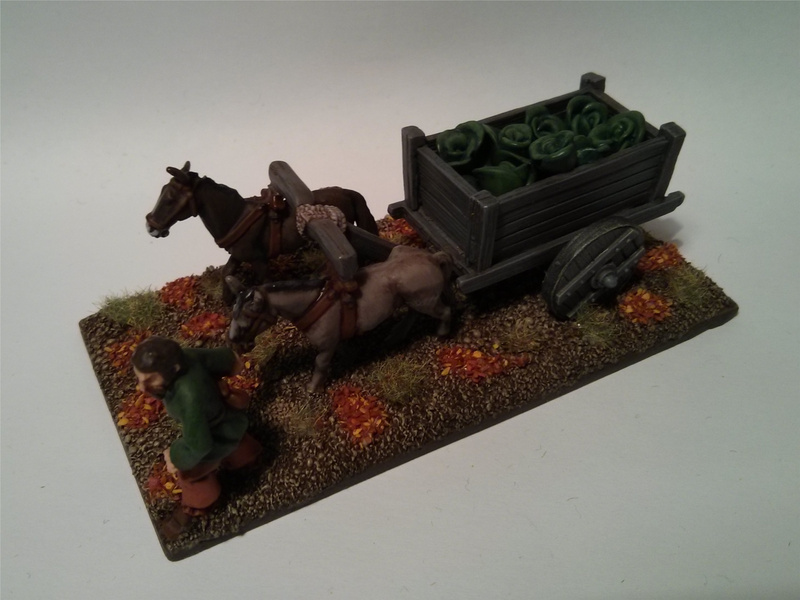 The wagon itself is from Warlord Games, while the cabbages are sculpted from greenstuff. The idea was shamelessly stolen from the incredibly talented JAK, who has converted up an astonishing Discworld-themed Empire army over on the Warhammer Empire Forum. 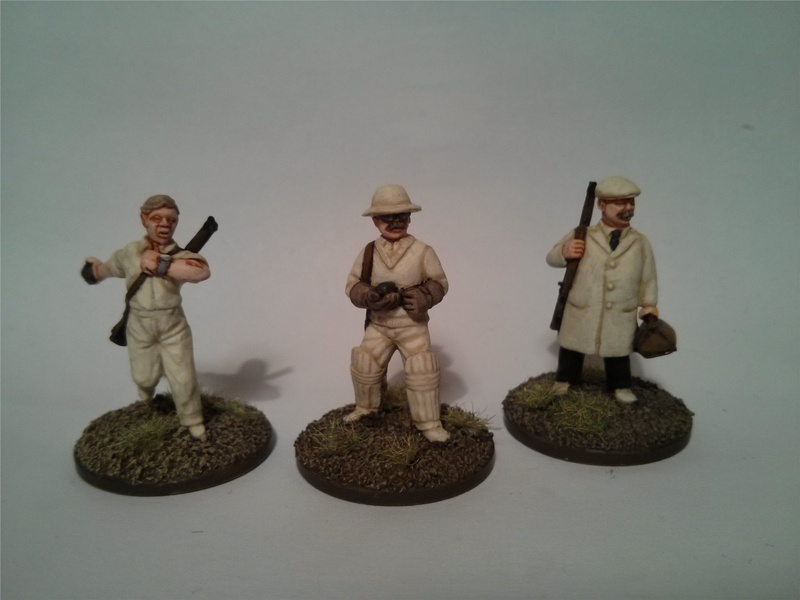 Yes folks, these are 28mm cricketers. 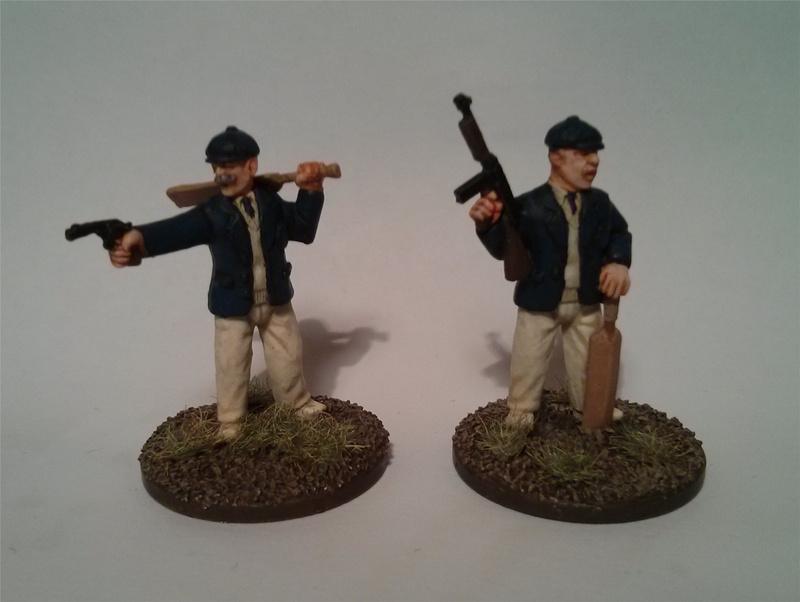 Armed 28mm cricketers no less. These are from Sloppy Jalopy, for VBCW – though they’d also be handy for a “what if” scenario of a German invasion of Britain during WW2. 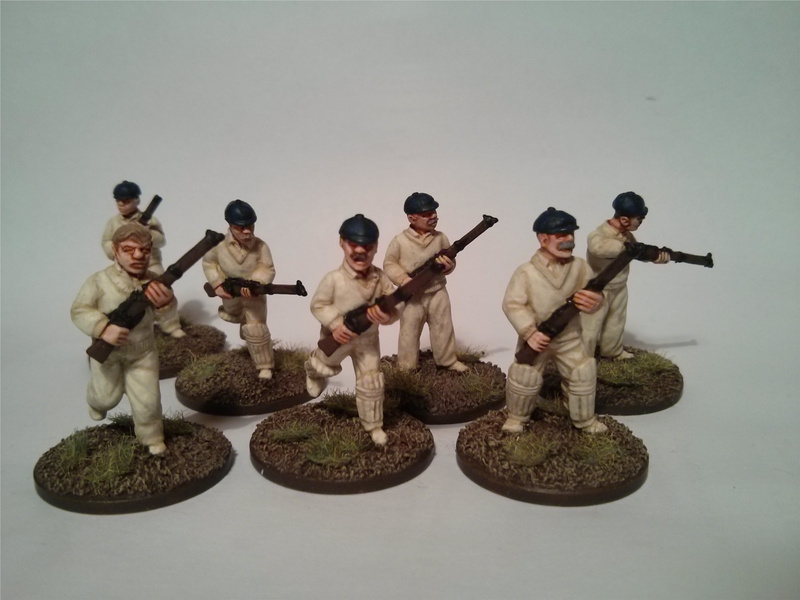 They’re fantastic sculpts, really original – especially the bowler lobbing his grenade.